WELCOME TO EXCITED QCD 2019! The 2019 edition of Excited QCD will take place from Jan 30 to Feb 3 2019, in the ski resort Schladming in Austria. The location is perfect for those who love winter sports, nature and good food. 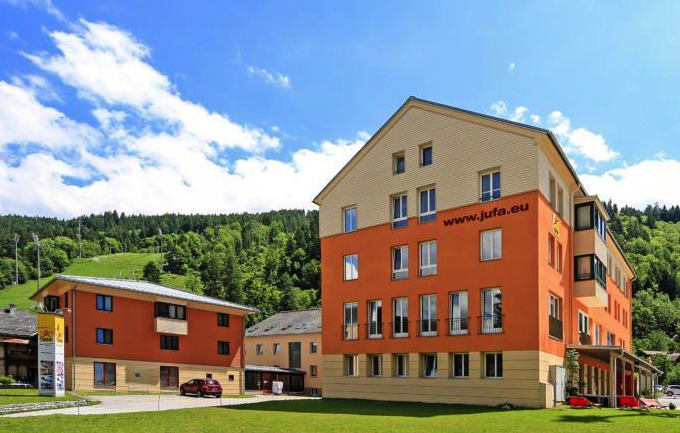 The JUFA Hotel, placed in the centre of the Schladming ski resort will host the meeting. This edition is the tenth in a series of workshops that had been previously organised in Poland (2009), Slovakia (2010 and 2015), France (2011), Portugal (2012, 2016 and 2017), Bosnia and Herzegovina (2013 and 2014) and Serbia (2018). The meeting will take place in Schladming, Styria, the "green heart" of Austria. 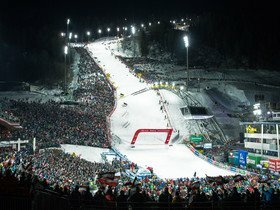 It is one of the biggest and most famous ski resorts in Austria, hosting the annual FIS Ski Worldcup Championships, with the well known Schladming Night Race on January 29, 2019. Cut fresh tracks through the snow across 230 kilometers of perfectly groomed slopes. From easy family hills to challenging black-rated runs for experts, you are bound to find a piste destined to become your own personal favorite. From one mountain to the next, the “Schladming 4-Mountain Ski Area” in Ski amadé, including the Hauser Kaibling, Planai, Hochwurzen and Reiteralm, makes it possible without any interruptions. Unique experiences as well as fantastic alpine and cross-country skiing enjoyment at 2700 meters above sea level are guaranteed by the Dachstein Glacier. apartment (4-5 persons)- 59,00 €. The rates are from January 30 to February 3, Wednesday is arrival day with Welcome dinner, the scientific program will start on Thursday! The price is per person per night on half board base - it includes breakfast and dinner, coffee breaks, WiFi, hotel insurance, unlimited use of Wellness & Spa centre and the gym. The price does not include tax of 1.50 € per person per night. There are many bars, shops and restaurants nearby. Since the JUFA rooms are selling out quickly, there are a few alternative options nearby..